I can’t tell you how many times a visitor has said to me, “I remember coming here when I was in fourth grade!” And you know what? It never gets old! Every time I hear that statement I am reminded of how much we here at Pennsbury Manor have to celebrate during National Teachers Week. Behind every student who ever came to Pennsbury Manor on a field trip is a teacher who worked to make that memory possible. Every spring, our buildings and grounds come to life with the hustle and bustle of school tours. 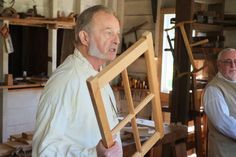 This is a yearly occurrence that dates back to Pennsbury Manor’s early days as a museum. And while our educational programs have changed and evolved over the last seventy-five years, one thing remains the same – the passion and dedication of the teachers who bring their students here each year. As the Education Program Coordinator, it is my great pleasure to talk with our teachers and help them plan their fieldtrips. Along the way, I find out what it is about our program that brings them back each year. But the story we tell is also meaningful to those students who live beyond our state borders. Dr. Ed Kennedy, Principal of Seely Place School, brings his students to Pennsbury Manor all the way from Scarsdale, New York as part of a three night trip to Philadelphia: “We have been taking our fifth grade students to Pennsbury Manor for the last fifteen years because the staff is able to present interactive sessions that are informative, meaningful, and fun. During the day long visit the children learn about colonial life and how different it was from present day comforts.” Dr. Kennedy’s students participate in our “By-the-Day” program, meaning they are the only school group on site that day. This enables them to customize their schedule. 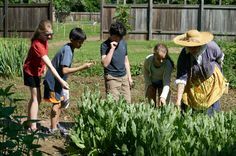 During their program, the students learn about William Penn and his legacy, but they also catch a glimpse of the world in which he lived by participating in activities on colonial medicine, cooking, and daily chores. and the garden. The animals to meet. The Delaware has seen it all. Our third graders returned to school with a real sense of this part of William Penn’s world. We were amazed by the discussions that followed our field trip and their wonderful “point of view” journal entries! Our teachers and parents learned as much as our children. As I write this post, I think about you, the reader, and your relationship to Pennsbury Manor. You might be one of those visitors who fell in love with history on a fourth grade fieldtrip. You could be a parent or guardian whose child excitedly told you about his recent experience writing with a quill pen. Finally, I hope some of you are teachers, the ones who strive to give your students the best educational experience, whether it is in the classroom or on a fieldtrip. To the teachers, we say thank you and Happy Teacher Appreciation Week! If you have memories of Pennsbury Manor as a student or a teacher, tell us! We want to hear about your fieldtrip memories.